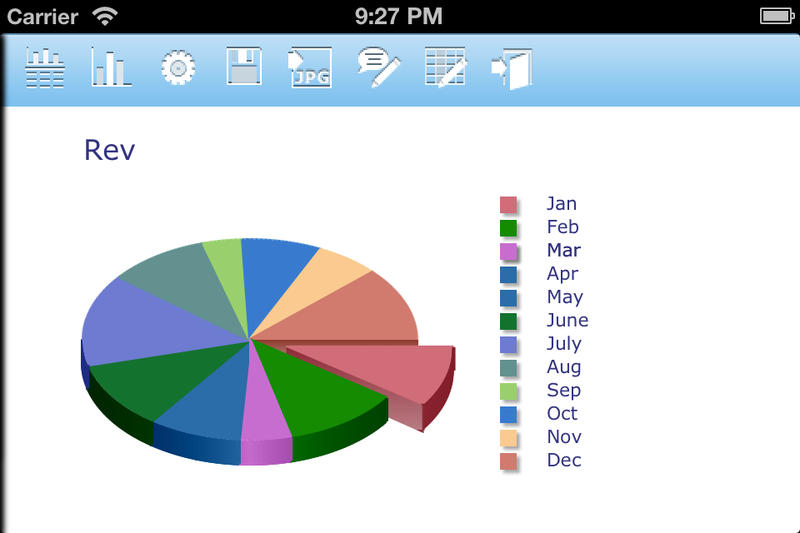 iTabChart allows you to edit spreadsheet and to generate charts on iPhone/iPod touch. It is the iPhone version of TabChart, an iPad App listed as No 1 in 11 Apple App stores. You can create, view and edit files exported from Excel. More importantly, iTabChart can generate professional looking 2D and 3D charts, including pie chart, bar chart, stack bar chart, line chart, and area chart. So iTabChart ($0.99) equals to Spreadsheet($5.99) + Chart Maker($8.99)! iTabChart supports both Landscape mode and Portrait mode. In addition, it provides a unique handy feature: attach a yellow sticker to a file or an individual cell of a table as a reminder. Now as a real estate agent, you can easily impress your customers using your iPhone to show the sales data. 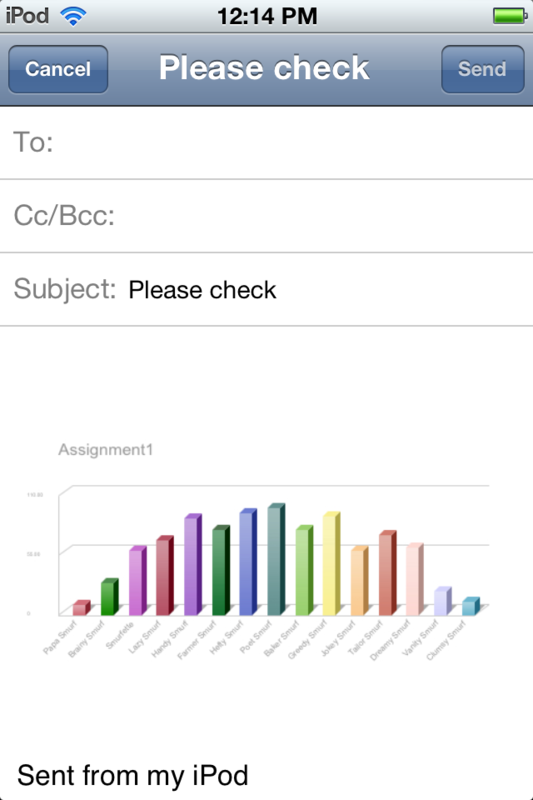 As an instructor, you can manage the information and grades of your students in iPhone. 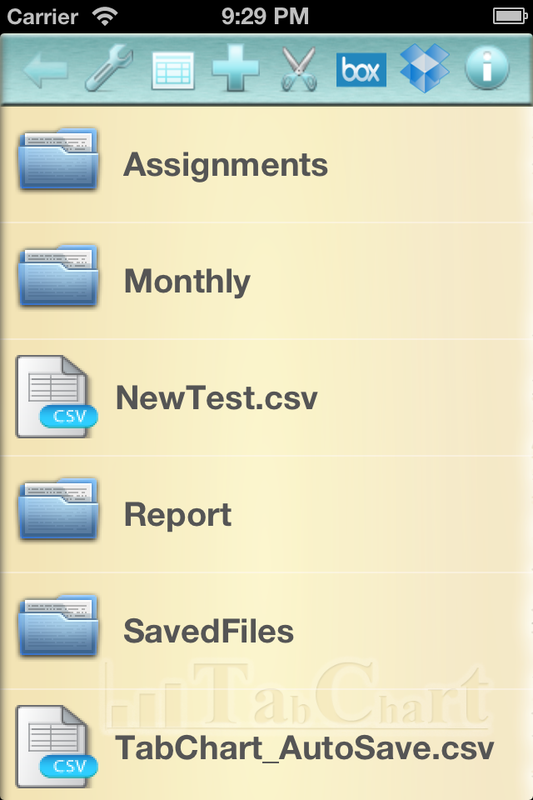 The full file management support allows you to organize files nicely in different folders. As a housewife, you can handle your monthly budget management without your desktop or laptop. With the handy feature of yellow sticker, you can easily attach a note/reminder to a particular expense. As a student, you can use iTabChart to generate compelling images of formatted table and chart view and insert them into your thesis. As an App developer, you can use iTabChart to keep track of your products. In addition, iTabChart can be used to track inventory, manage shopping list, and many more. 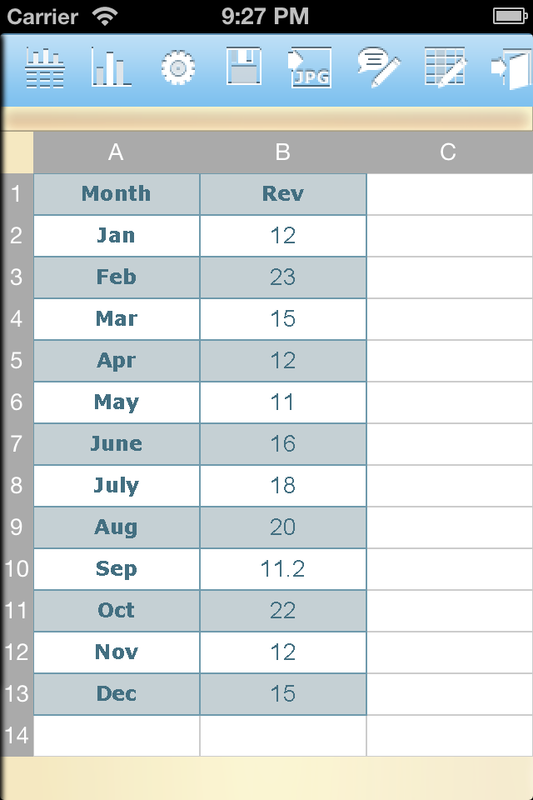 iTabChart also allows you to customize the chart and the format of the table. You can export your Excel files into CSV files and load into iTabChart, and you can also import the CSV files generated by iTabChart back to Excel. 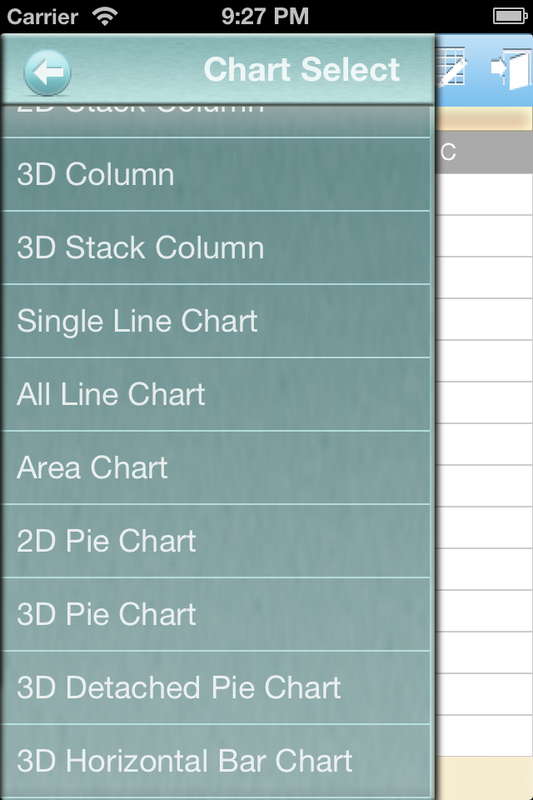 * Set alignment for a column! * File management and folder support, including creating/renaming/deleting folders and moving/deleting files. More screenshots in the marketing website. Please check the support URL for a Getting Started page. It will help you to start enjoying using this wonderful app. * Fixed several bugs that cause crashing.